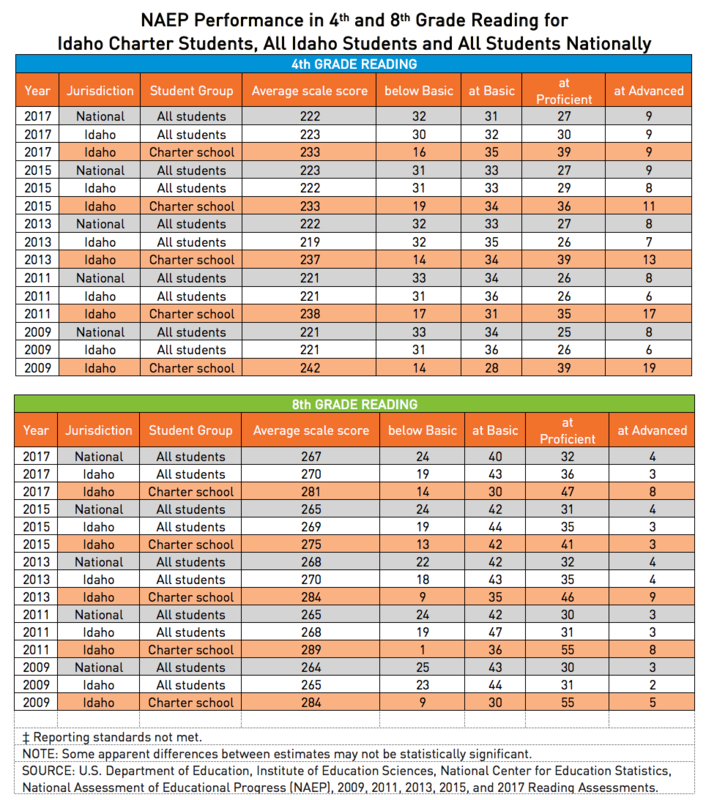 Idaho is one of the few states in the country that breaks out NAEP achievement data for students in public charter schools. NAEP is considered the “Nation’s Report Card.” NAEP is administered every odd year across the country. In Idaho, the state’s public charter schools outperform state and national averages in both math and English in 4th grade and 8thgrade. This has been the case every year since 2009 (when Idaho first had enough charter students to have a reliable sample). 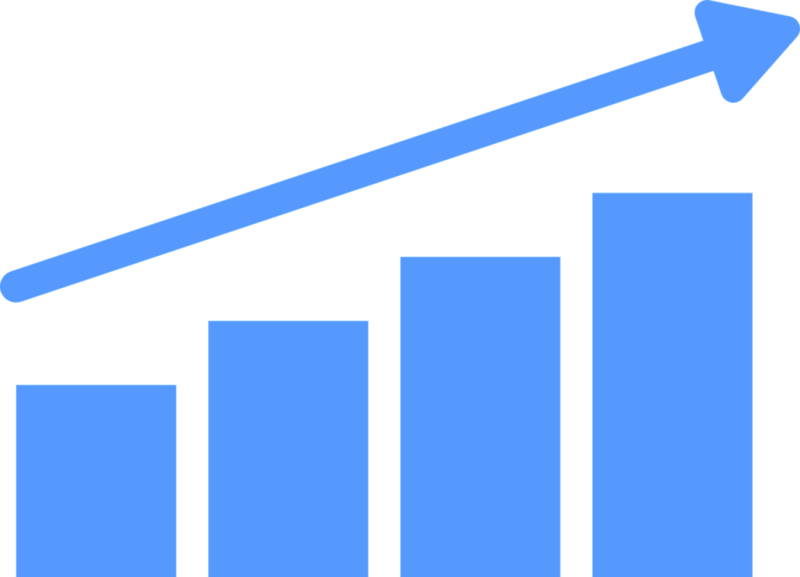 But more interesting, and impressive, is that Idaho’s charter student achievement has stayed higher than state and national averages since 2009, while the state’s charter sector has grown from 31 schools serving 11,959 students in 2009 to 50 schools serving 21,351 students in 2017. Idaho’s charters added almost 10,000 students (basically doubling the number of students) without seeing a drop in overall performance. 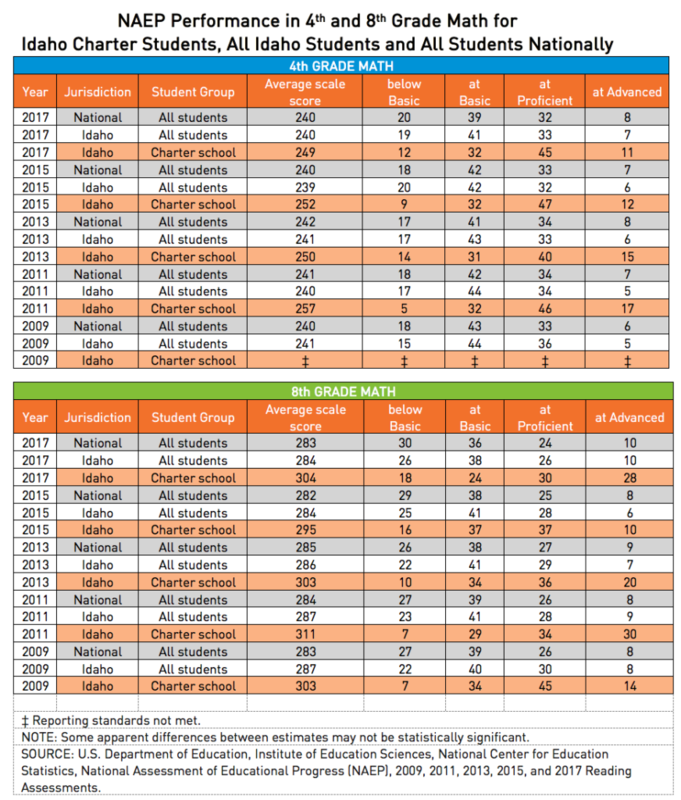 The bad news, however, is that overall student achievement in Idaho’s charters, like that of students statewide and nationally, is largely static; albeit at a higher level. Idaho’s charter schools are delivering for families and children, but they (like schools across the country) need to do even better in future years.